Nintendo has announced that they will be having a second Labo Creators Contest to spur creativity among Nintendo Labo players. 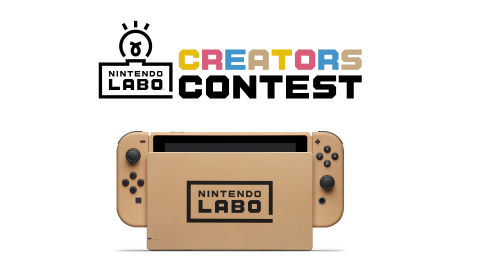 From 19 July 2018 to 20 August 2018 aspiring Labo Creatives can sign up to take part in the Nintendo Labo Creators Contest. All you have to do is to show off your creativity in making the best gaming experience or musical instrument using Nintendo Labo. Winners will get to win a collectable Nintendo Switch system with custom Labo themed paint-job, a special Nintendo Labo Creators jacket, and a framed and signed certificate by Nintendo Labo developers. So start work now! You can find out more about the contest here.